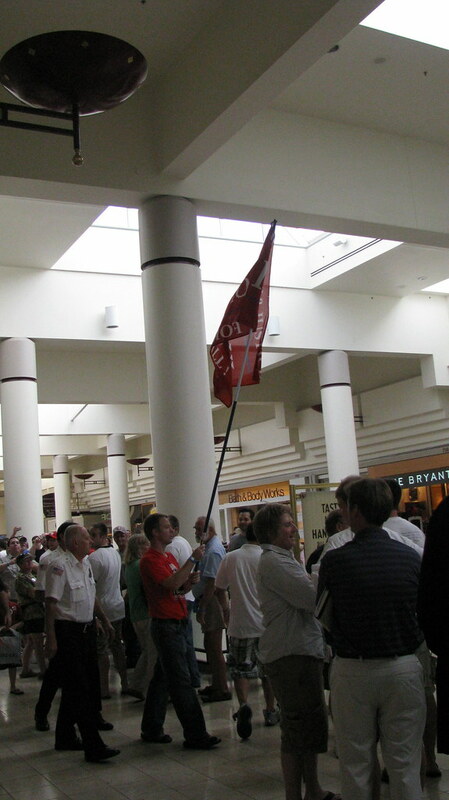 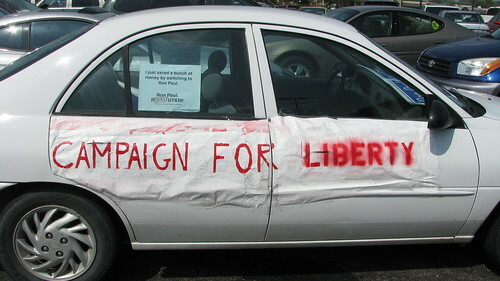 I stumbled into a Ron Paul rally at Rosedale Mall Monday afternoon. 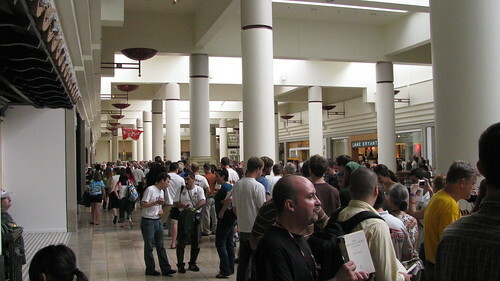 There were a lot of people there. 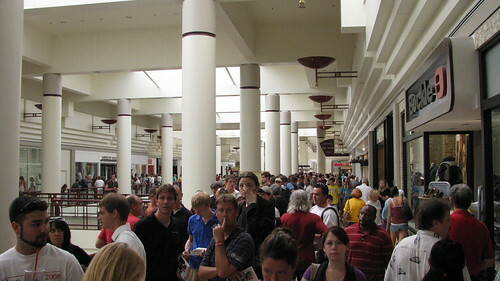 Long lines snaked the length of the mall on both sides waiting to get their books signed at the Borders bookstore there.